Pay homage to a true horror classic with this iconic Latex Mask - Silver Screen Edition Frankenstein’s Monster - Adult Costume Accessory. 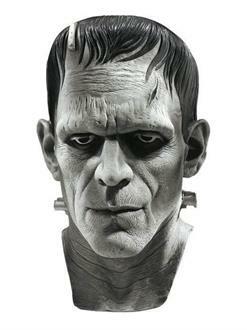 With a vintage, black and white vibe, this Frankenstein’s Monster mask is the perfect choice for Halloween or cosplay. Shop for adult horror costumes and accessories online today.